I wish I didn’t hear you say to me, “Hakim, I think that war will never be abolished.” Have we greedy adults made it so very difficult for you to picture a humanity without war? Today we use 100 million barrels of oil every day. There are no politics to change that. There are no rules to keep that oil in the ground, so we can’t save the world by playing by the rules because the rules have to change. Everything needs to change and it has to start today. There is no politician currently in office who has proposed laws to ban war. I had hoped that Bernie Sanders in the US and Jeremy Corbyn in the UK would, but they haven’t. Gorbachev understands the real political risk of humankind annihilating herself through nuclear warfare. I mean, it was way back in the 1930s that British engineer Guy Stewart Callendar calculated that a doubling of CO2 in the Earth’s atmosphere could warm the Earth by 2 degrees Celsius. It has taken 90 years to reach today’s level of climate activism, and despite this, we still have people like Trump who denies climate change. You see, I want so much for you to have a meaningful and gorgeous life, and to have enough friends, friends even with those considered “enemies”. 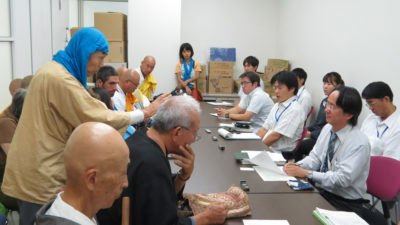 The kind monk (left, standing) and Yuichi (centre, standing) with other Japanese activists in an office of Okinawa’s Ministry of Defense. 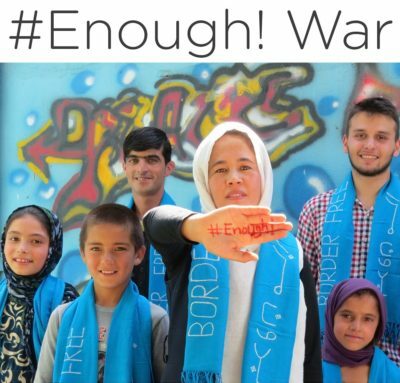 Not only are Japanese activists working to abolish war. 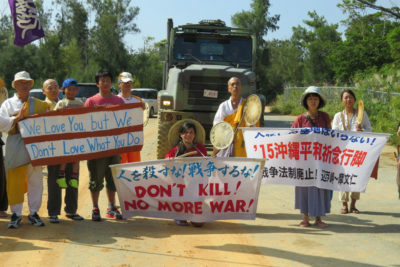 Many ordinary Japanese are resisting the heavy killer machinery too. In fact, in a February 2019 referendum, 72% of Okinawan voters opposed the construction of a new US military base to replace an existing one. Most Okinawans don’t want US military bases on their peaceful and beautiful island. 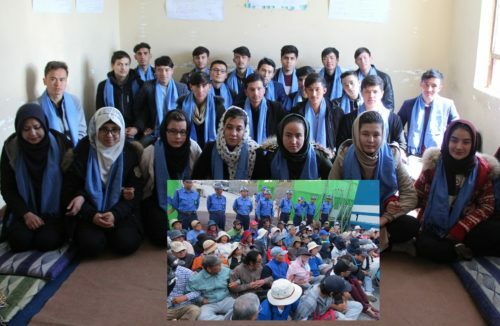 You’ll also be encouraged to know that Masoma, Habib and new members of the Afghan Peace Volunteers had sent Msent Kamoshita, Sara and Okinawans a video message of solidarity. We have on many occasions talked about true education: thinking and feeling deeply, freeing ourselves from the control of money, questioning all power, changing the culture of war within us. In relational learning, we connect all the dots and love like everyone and everything in the world is related. 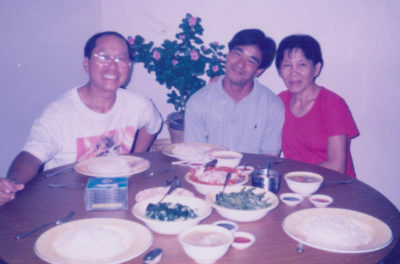 This article was posted on Monday, March 25th, 2019 at 2:51am and is filed under Afghanistan, Japan, Kabul, Okinawa, Peace Activism, Prime Minister Shinzo Abe, Singapore, Solidarity, United States, War.